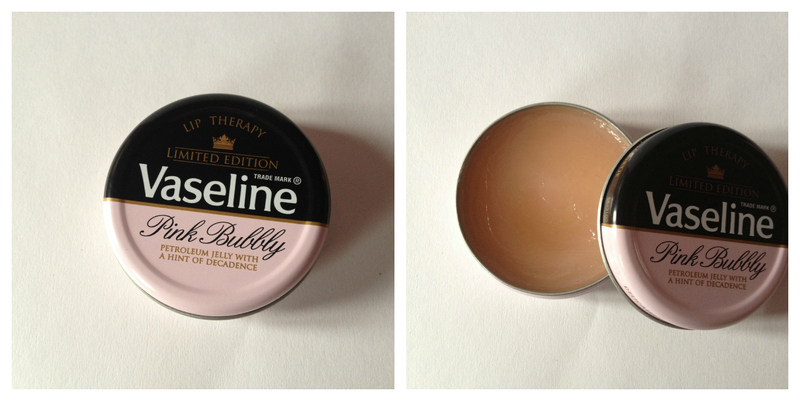 These Vaseline Limited Edition Pink Bubbly tins are largely old news now. They were initially exclusive to Selfridges but now they're available in almost every drugstore on the highstreet. I'm a Vaseline fan - I always have one knocking about, whether it's in my handbag or about the house. This latest edition is light pink in colour but doesn't actually tint the lips, softens any dry patches and smells rather fruity. It's a lovely little product although a little steep when it comes to the price in comparison to all of the other products available from the range. Vaseline Limited Edition Pink Bubbly is available from most drugstores. RRP £3.49. Tried looking in Boots for this ages ago and (obviously) they didn't have it, so definitely going to have a look again now as I love Vaseline too and really love the Creme Brulee version I'm using at the moment so would love to have this one too! I hate Vaseline but I want to buy this for the sheer novelty value!